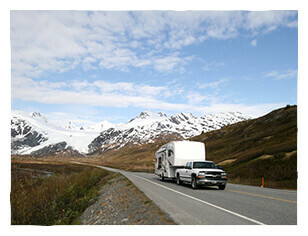 People who own RV's do so because they like to travel, often far from home. But, what do you do when you have a problem in unfamiliar territory, at night, or on the weekend when most businesses are closed? 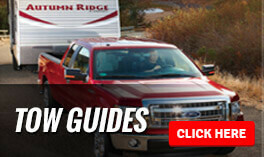 With the all inclusive Coach-Net RV Technical & Roadside Assistance you'll be covered. Road Hazards are those unusual conditions that may occur on the highway such as pot holes, nails, glass, and other hazardous materials. If it becomes necessary to repair or replace one of the tires on your RV because of a road hazard condition, Tire Shield's Road Hazard Tire Protection offers you peace-of-mind protection you've been looking for. Road Hazard Tire Coverage Program repairs or, if unrepairable, replaces tires damaged by road hazards. Reimbursement includes tires, mounting & balancing, valve stems and sales tax. In addition to the Tire Coverage your package also provides for the repair or replacement of wheels damaged by road hazards. Life on the road isn't as always as clean as we would like, but is isn't hard to keep your vehicle looking showroom new! With the Environmental Protection Plan you can protect the Interior and Exterior of your RV from all sorts of regular damages.